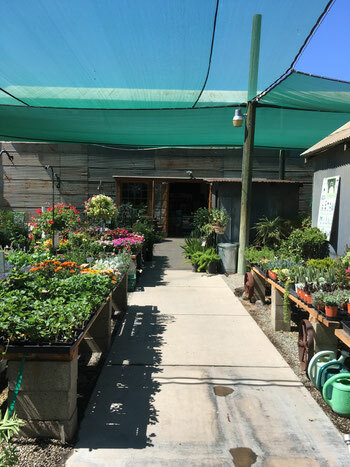 Cagliero Ranch Nursery has been serving the Hemet/San Jacinto area since 2003. Owner Joe Cagliero is a California Certified Nursery Professional, and had worked in several nurseries in the area before starting Cagliero Ranch Nursery. 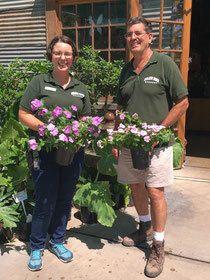 Now he and his daughter Rose manage the nursery, with a great crew of knowledgeable staff. 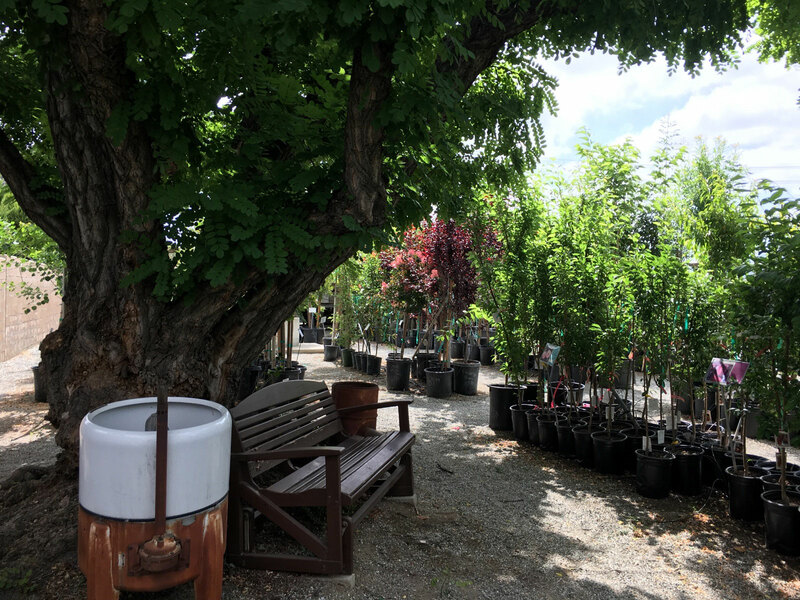 We strive to exceed our customer's expectations, stocking a wide variety of roses, trees, and drought tolerant or native plants. We also stock the highest quality soils, fertilizers, seeds, fountains/statuary, and gift items available. Come meet our friendly staff! An antique washing machine and bench by the fruit tree section. Before this was a nursery, it was the Cagliero Brothers Ranch. Back in the late 1950's and early 1960's, Joe's father and uncle grew alfalfa and oat hay to sell to all the ranches and dairies around the valley. 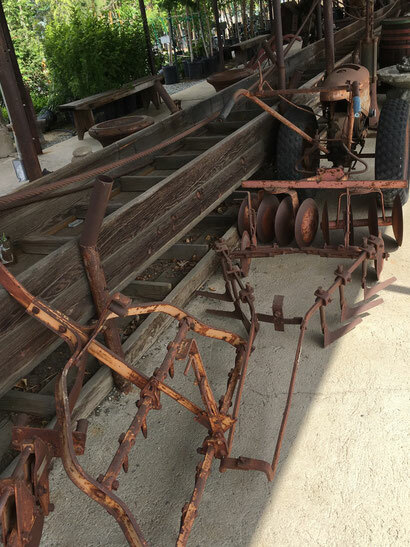 The Cagliero family eventually sold much of the farmland they owned, but the portion that had the barns and the old cattle feed conveyer belt was kept in the family. The cattle feed conveyer belt with antique farm equipment in the foreground. When Louis Cagliero, Joe's uncle, passed away, he left his house and the last of the farmland to Joe. It turned out to be the perfect place to start a nursery. The barn that currently houses all the houseplants and gift items was originally brought to the property in the 1940s from Camp Haan in Riverside, a military training camp during WWII. It had been used as a gymnasium at the camp, but like many buildings in these temporary camps, was made to be taken apart and sold at the end of the war. That's how the barn came to be here in Hemet. 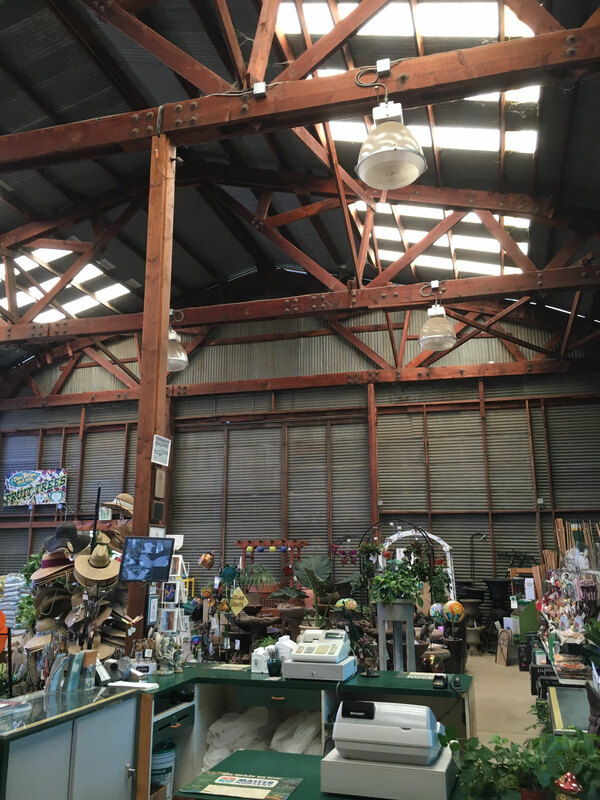 When Joe inherited it, the barn was full of old farm equipment and pigeon excrement. Needless to say, it took him a couple of years to sort through everything on the property, then he decided on the layout and began construction. The east side of the barn. All the concrete was poured, and the office and restrooms were built. During construction, Joe had the help of Swede, an older gentleman of his acquaintance who could operate heavy machinery. Swede was quite a character, but a diligent worker. His name is carved in the concrete near the shop alongside Joe's. Bedding plant tables in the foreground, with a view of the barn's front entrance. Some of the old grape vines that used to line the south-facing side of the barn had to be taken out because they couldn't survive under the shade cloth required for the bedding plants. One grape vine of these many remains on the west side of the barn in the parking lot, along with the old Black Mission fig tree. The black locusts and the apricot tree that are inside the nursery also date back to when the property was a fully working ranch. 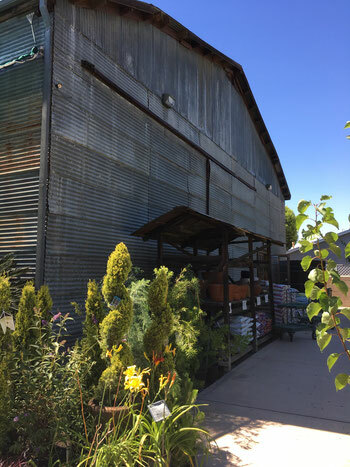 Cagliero Ranch Nursery is a place where the past is still felt today.